At Boom Creative, we can combine the oldest art forms with the modern discipline of direct mail. Gavin Leham creates beautiful, unique ornamental hand wrought iron work. 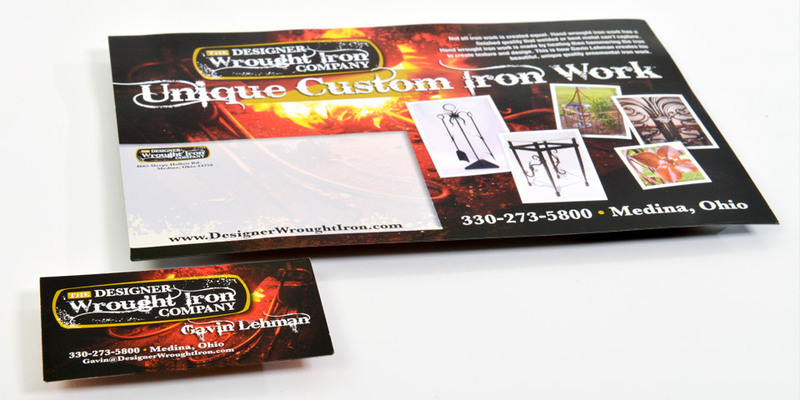 Hand wrought iron work has a finished quality that welded or bent metal can’t capture. Hand wrought iron work is made by heating then hammering the iron to create texture and design. This type of work is only relevant to certain customers. So we created a direct mail piece that could serve as the heart of a direct marketing campaign. At Boom Creative, we can balance the restrictions of mailing requirements with the broad needs of your marketing message to create direct mail pieces that reach out and grab your prospects.